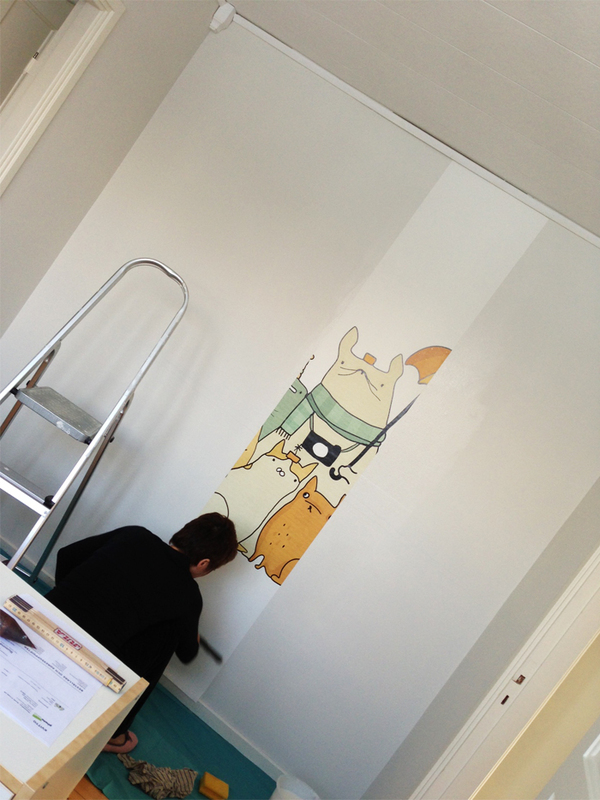 blog of issie - drawing, cats and stuff: Custom wallpaper for Sarah. 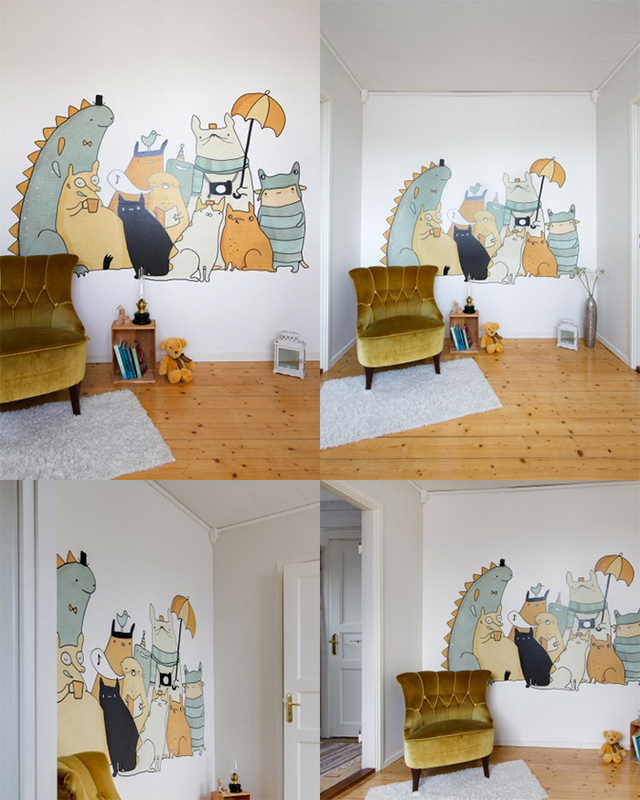 A couple of months ago, my friend Sarah contacted me about a wallpaper commission for her future nursery. I am a bit late with showing the result, but here it is. I am really happy how it turned out and hope her newborn will be eventually. The black cat in the middle is the family cat Baron Bosse.